An exceptionally influential enhancer for the #1 star in 2019 said to enhance wealth and protection especially for the youngest daughter in a home or the female if there are no children. 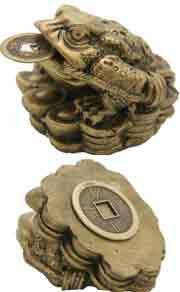 This wu lou Talisman can also be placed beside your bed especially if you are not in good health or suffer from bad luck. 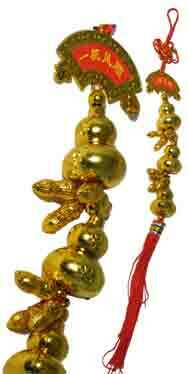 A golden coloured wu lou is said to offer the ultimate protection in health and finances and this one has been made to exacting stands of very high quality. 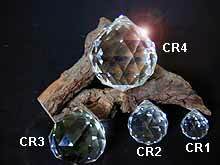 A Wu Lou has many guises and is also known as a calabash, gourd and traditionally known as in Chinese culture as the “giver of life” and is customarily used to remedy the #2 & #5 sickness bad luck stars although as an enhancer talisman, it is used for the #1 future wealth star, in 2019 you should place the Wu Lou Master Talisman in the west although you could also place one in the northeast and southwest to ward off bad luck. The Calabash (wu lou) is a fruit and when dried out was used to store medicine or water, this is how it got its name “giver of life”. In the old days, travellers would hollow the calabash out and use it as a flask or vessel to carry their water and medicine in and the reason why in Feng Shui it was adopted as a powerful and well-known cure and enhancer. This particular talisman was handmade for us and carefully placed together with a red and gold ribbon with a Chinese auspicious knot at the top and a dual tassel at the bottom signifying wealth and protection for the building. The arched tablet at the top has a very special talisman embossed taken from exact measurements to ensure accuracy as in Feng Shui, measurements are crucial. So whilst this magnificent cure and enhancer may seem quite simple in design it is actually extremely powerful and a little-known cure even to the most experienced Feng Shui consultant and one of the reasons why so many Feng Shui consultants purchase their cures and enhancers from us. 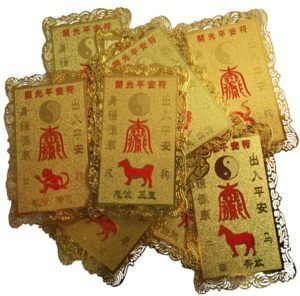 Where do I place the Wu Lou talisman in 2019? 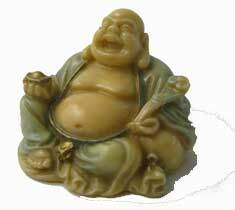 The Wu Lou talisman should be placed in the west of your home or office or west area of an important room. 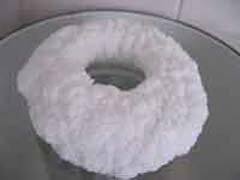 How do I display the Wu Lou talisman? When should I display the Wu Lou talisman? This really did mitigate losses for someone last year and so much so that I have given this a through cleanse before placing again. I am truly grateful for the positive way it helped someone. ”Good always comes out of bad”. Thank you so much.